The Application Development Analyst works with the client to define business requirement for very complex systems (both new and existing), formulating scope, objectives, and program specifications. This position then codes, tests, debugs, documents and implements new systems and/or changes to existing systems. Coding: Write new programs and enhance existing programs meeting program specifications and Penn National Insurance programming standards. Implement program changes following documented change control procedures. Note: Coding at this level is typically limited to the most complex assignments. Testing: Coordinate and perform unit, system, and model office testing associated with any project. Verify that test results meet business requirements. Analysis/Design: Work with client to define business requirements for new systems and enhancements to existing systems. Analyze business requirements. Design and configure system solutions that meet business requirements and employ Penn National Insurance best practices. Design may include: user interfaces, business rules, output reports, data conversions, and interfaces with other systems. Troubleshooting/Problem Resolution: Log identified development and production issues. Research and analyze issues to identify systemic problems and root causes. Document problem resolution alternatives and recommend course of action. Plan and coordinate problem resolution activities. Documentation: Create program-level documentation including, but not limited to: program specifications, data conversion maps, screen and report layouts, flowcharts, troubleshooting documentation, and operations instructions. Create system-level documentation, including, but not limited to: business requirements, use cases, system overviews, change control instructions, disaster recovery instructions, flowcharts and diagrams. Update status and time tracking system weekly. Client Interaction: Interact with client to clarify business requirements and develop test cases. Assist clients during testing, troubleshooting, and problem resolution tasks. Estimating and Planning: Estimate time to complete individual assignments and discuss target dates with supervisor/manager. Create action plans associated with specific project assignments. 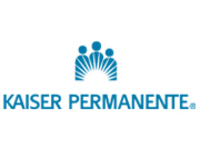 Leadership: Review peer code and certify adherence to Penn National Insurance standards. May also mentor new employees or provide cross-training. May present design solutions and obtain approvals for them. Provides on-call or after hours application / technical support. Participates in self-development to maintain the technical currency necessary to perform the duties of the position. Participate on departmental standards committee and recommends changes to departmental standards/best practices. Technical degree or associates degree in technical field required or 2 years comparable work experience required. A minimum of 4 years programming and analysis experience required. SQL Skills in Microsoft SSIS (Integration Services) and SSRS (Reporting Services). Property & Casualty Insurance Experience is not required but would be beneficial. VB.net experience is not required but would be beneficial. This position is primarily a sedentary position that requires occasional standing and walking throughout the office environment. Ability to hear and communicate via the telephone and/or monitoring devices to both internal and external clients. Ability to maintain acceptable attendance and adhere to scheduled work hours. Ability to interpret, develop and apply concepts based on assigned initiatives. Must have the ability to communicate effectively both orally and in written format. Must be able to operate a computer, keyboard, applicable printers and other general office equipment. Must have a valid driver's license and be able to operate a motor vehicle. Must have the ability to travel to remote office locations.